Are you wondering what TV is on this fall? UK TV Repair have designed this television guide for Autumn 2017 to give you a selection of what to watch when you have a few moments spare. Calling all geeks! Star Trek is back… What better way to start this list than the return of Star Trek. Star Trek: Discovery is set a decade before the original series (first aired in 1966) will follow the cold war between the 24 Klingon houses and Starfleet, the exploratory agency of the United Federation of Planets. There will be a few new faces added to this cast. It is definetly one to set your television on record for! On air at the moment (par Brooklyn Nine-Nine) there are not many silly comedies on air at present. That is why there is room for Ghosted to be become a success. 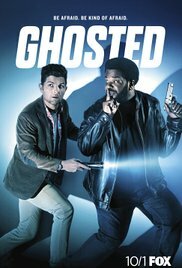 Craig Robinson and Adam Scott play Leroy Wright and Max Jennifer, two unassuming, everyday, regular guys who are recruited by a shady government organization called The Bureau Underground to tackle paranormal activity in Los Angeles. This comedy brings action, sci-fy and comedy into one. In order for the human race to survive it is up to Leroy and Max. We have no hope! 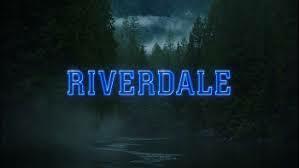 Third on the list of our television guide for Autumn comes Riverdale. If you have watched Riverdale then the chances are you enjoyed it. Having revealed Jason’s killer in the penultimate episode, Riverdale left us with another cliffhanger to take us into season two. Well worry no longer! Riverdale airs on October 11th @ 8pm. In this brilliant comedy the end of the world is just that bit more ridiculous, which makes it perfect for a half-hour comedy. We thank you Seth Rogan!